Home Resource iPhone Backup There is no Free Storage for iCloud Backup, What Can I do? iCloud provides the automatic method for iOS device to make the backup. If you have signed up to iCloud, your iOS device is supposed to complete iCloud backup when connected to Wifi. However, Apple only provide free 5GB iCloud storage for you to use and if you do not purchase the extra storage for backup, you may often get the messages that told you not have free storage for iCloud backup. In this article, we will give you the solutions for there is free storage for iCloud backup as well as the alternative way to backup your iOS devices. 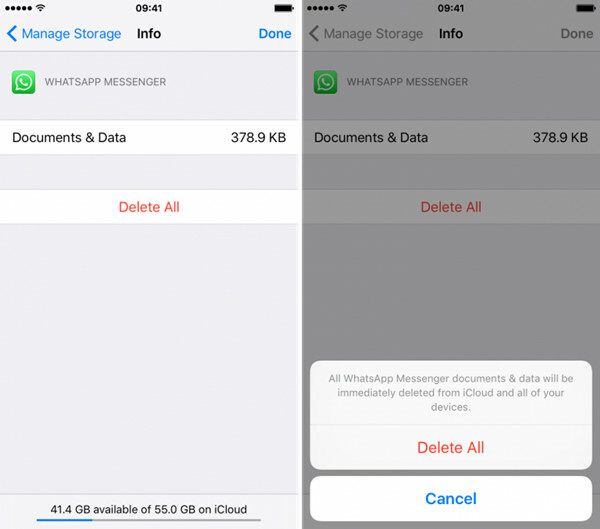 The most obvious is to follow Apple’s prompt and manage your storage in Settings by deleting some of the Documents or data that you might not need. Step 2: Select an app under Documents & Data (the biggest data hog will be at the top with each subsequent size below). Step 3: After selecting the app, tap the Edit tab in the upper right corner and then select the specific document to remove, or tap the Delete All tab. Step 4: Repeat as necessary until you are taking up less than 5GB of storage. 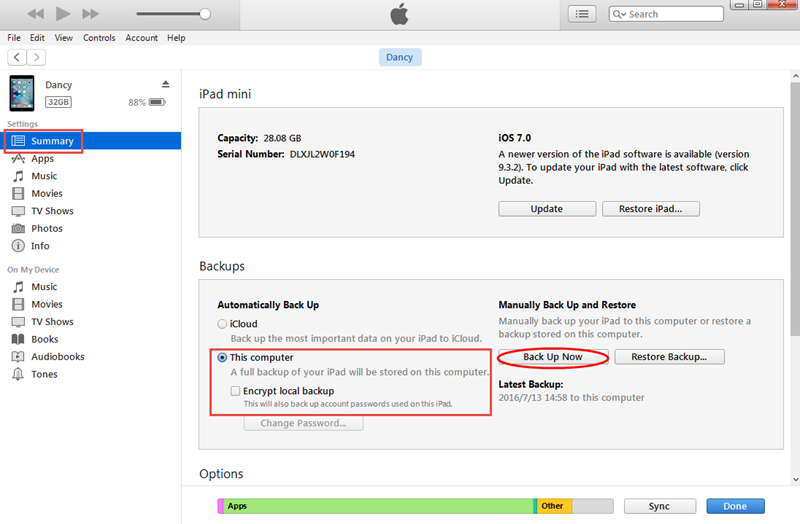 Step 2: Select the device you want to manage the backup for (“This iPhone,” for example). Step 3: Under the Choose Data to Back Up heading, toggle apps off that you do not want to sync to iCloud. As previously noted, Photo Library usually is the biggest culprit. 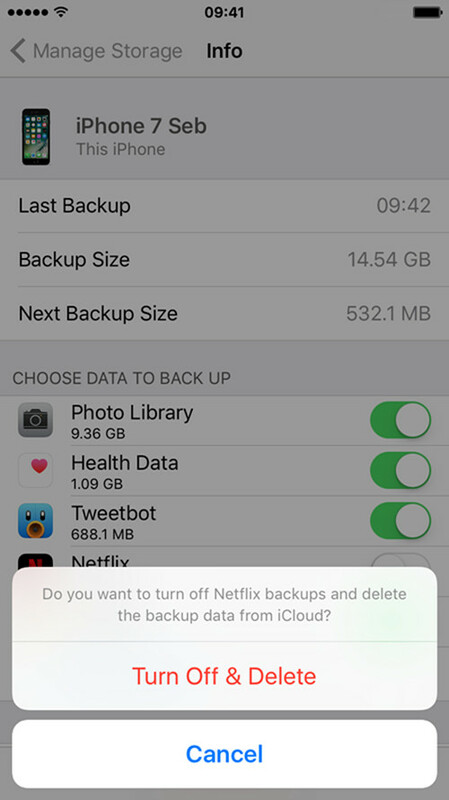 In the example below, I have chosen to turn off iCloud backups for the Netflix app. Tap on Turn Off & Delete to confirm. If you share multiple devices under the same iCloud account, you will need to manage storage from those devices as well. If your device is only using 2.3GB of storage space, but you still receive the “Not Enough Storage” error message, you may need to manage the storage of other devices on your account. 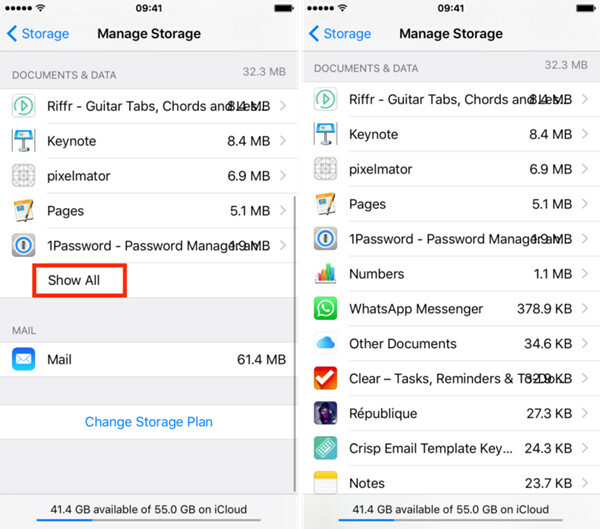 Check your iPhone, iPad, and iPod touch to see where the excess storage usage is happening. Having a local backup is always a good choice if you do not have enough iCloud storage. Making a local backup of your iPhone is also easy with the help of iTunes. First, open iTunes and plug the iPhone into your computer. If a message asks for your device passcode or to Trust This Computer, follow the onscreen steps. Then ensure that Summary is selected in the lefthand column, you will have three boxes in the main pane, the middle of which is entitled backups. Choose This computer and click Back Up Now to backup iPhone to iTunes. You could check “Encrypt iPhone backup” to make an encrypted iPhone backup. Another way for you to backup your iOS device is use some third-party software These tools could support to backup iPhone data selectively and allow you preview even manage these contents. 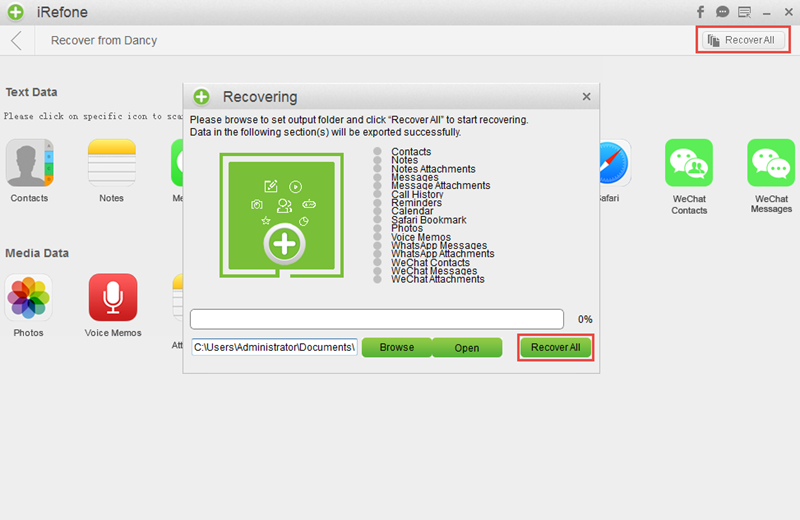 Here we take iRefone as an example to introduce how to backup data with third-party software. iRefone is the professional iPhone data backup and recovery software. It is able to recover iPhone deleted and lost data as well as backup data on iPhone. Mac users also user iRefone for Mac to do the backup.